Our cat Ellie derives unbridled amounts of satisfaction from a cardboard box. Similarly, untold gastronomic delight can quite easily be created by frying some subtly seasoned onions, garlic and chopped sprouts. Okay, constraints do exist, but in many ways, life is what you make of it and even the simplest things can result in a huge dollop of pleasure. You’ve just got to put the effort in and enjoy each experience for what it is. 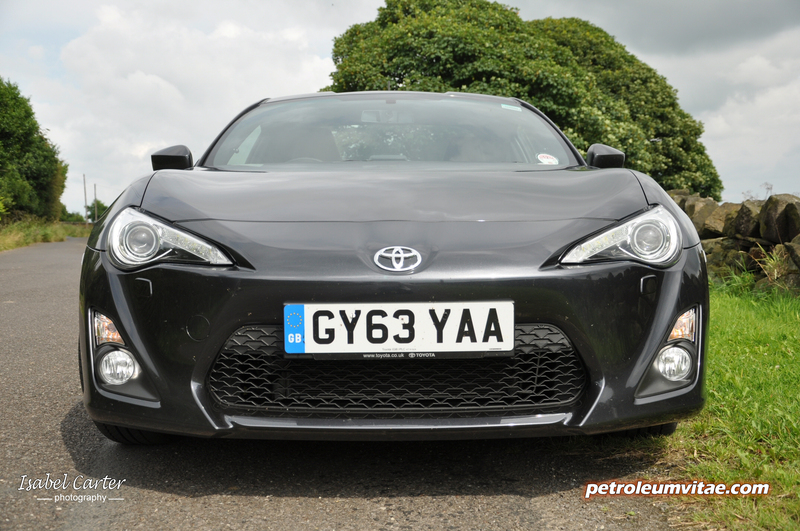 It’s not always about power, sophistication and statistical dominance, and the Toyota GT86 is a case in point. 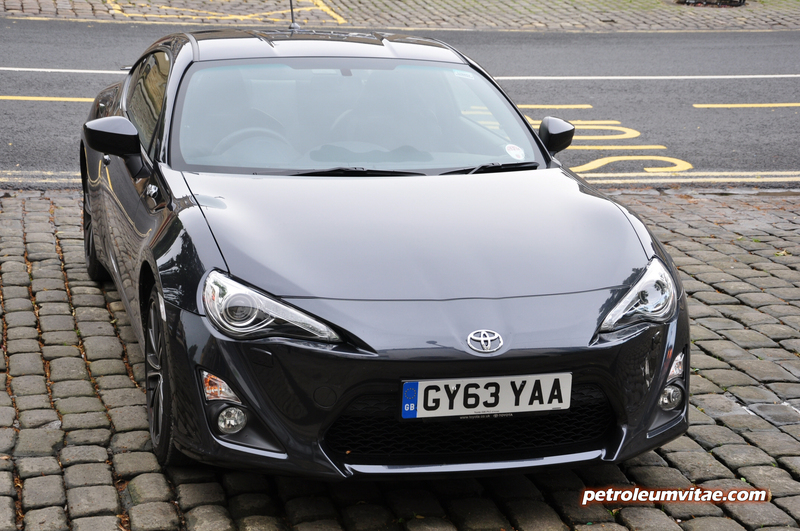 I know I’m a little late to the party in finally getting round to reviewing one, but after all, Toyota had been in the sports car wilderness since they stopped selling the MR2 in 2007. 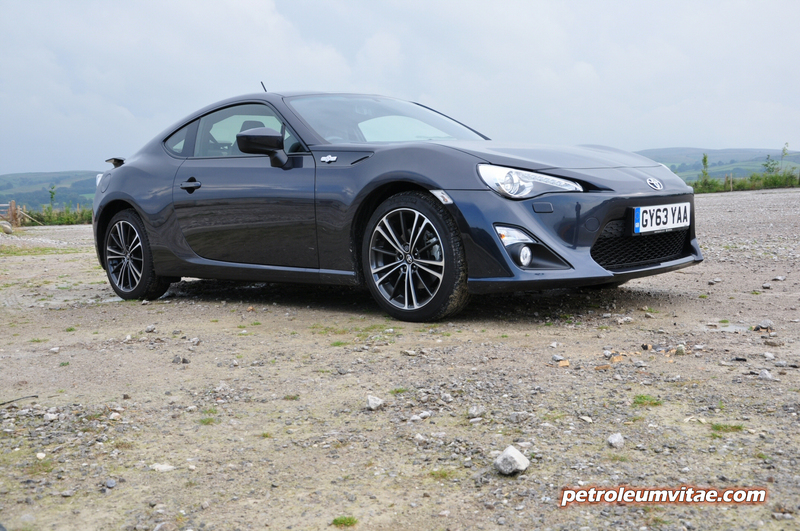 The GT86 therefore resembles a pretty important car for them and also for its target audience, who have long been crying out for a car like this. When I say ‘like this’, I mean a proper, classic-feeling, back-to-basics, purist driver’s car, free from the burden of a repressive number of electronic additions and distractions. There are some threefold combinations that are inseparable, owing to the fact they work so effectively together. A suit, collar and tie, for example, or Stock, Aitken and Waterman. 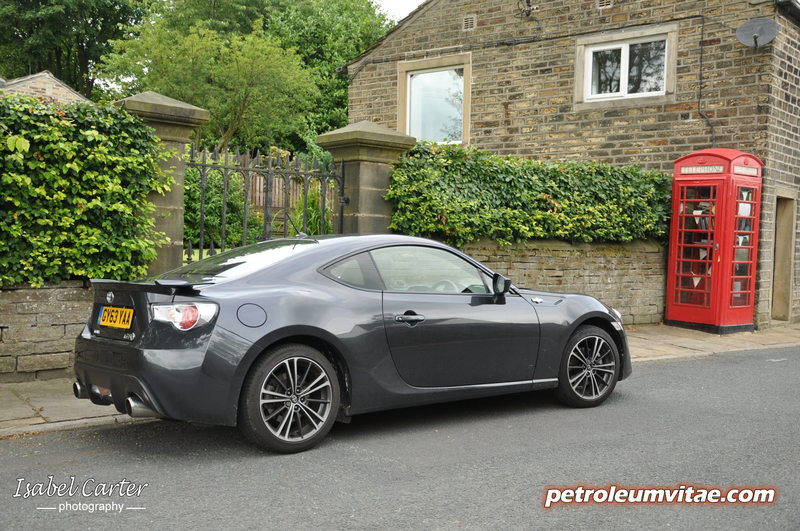 When it comes to driver-focussed, raw sports cars, it’s got to be a combination of front-engine, rear-wheel drive and normal aspiration – and yup, you guessed it, the GT86 follows this formula. 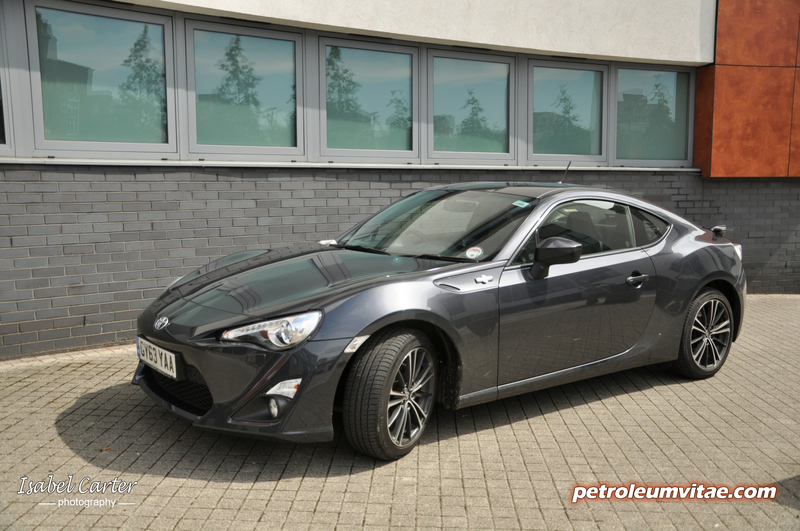 The Japanese team behind the Toyota and its Subaru BRZ twin were also hell-bent on another requirement – standard tyres, in this case the same 215/45R17 ones fitted to a Prius. 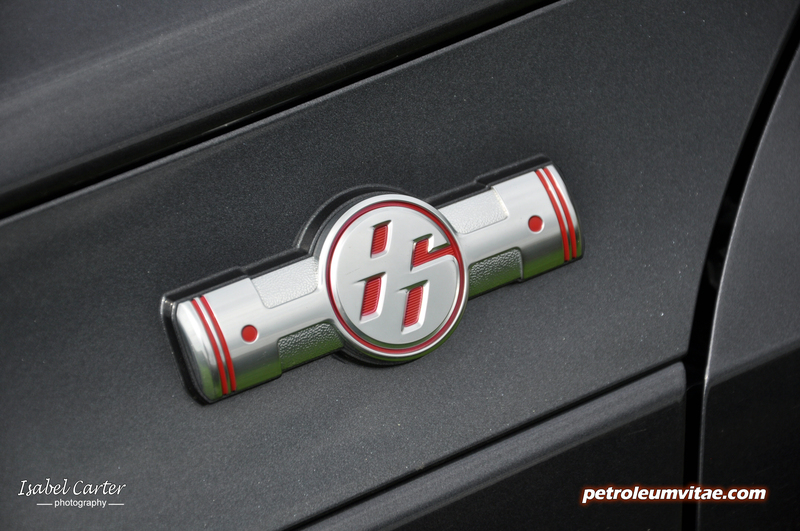 The ‘86’ is highly significant for reasons I shall now explain, and it feels rather humbling to be mentioning cars that were launched in the year I was born, like the Corolla GT AE86 was, in 1983. 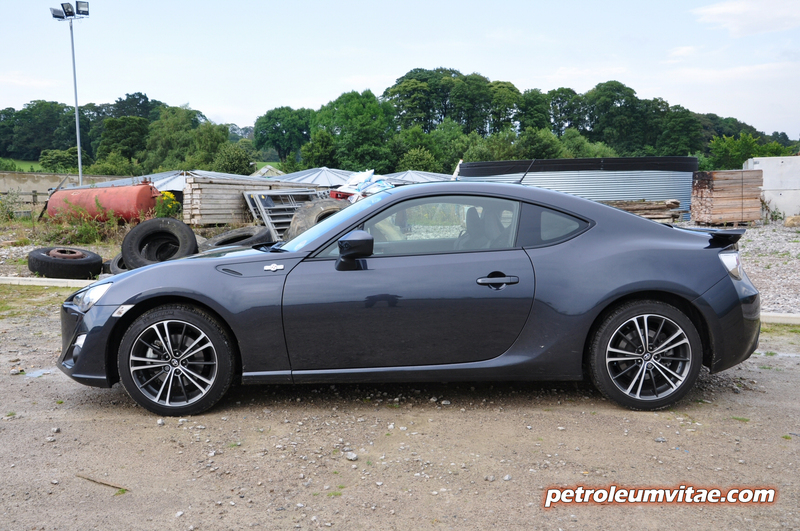 The GT86 also takes inspiration from the Toyota 2000GT produced in the late 1960s, not long after their first ever production sports car, the Sports 800. 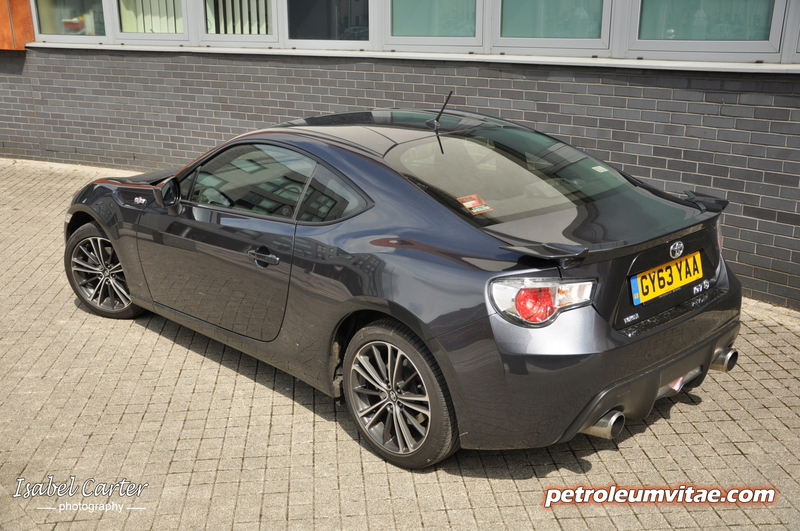 I won’t pretend to be an encyclopaedia of knowledge on the GT86’s iconic predecessors but if you end up Googling for photos of them, you’ll see how the designers have subconsciously blended the ethos of the 2000GT into their modern sports car – which probably has something to do with the fact that the clay production model of the GT86 was parked right next to one. 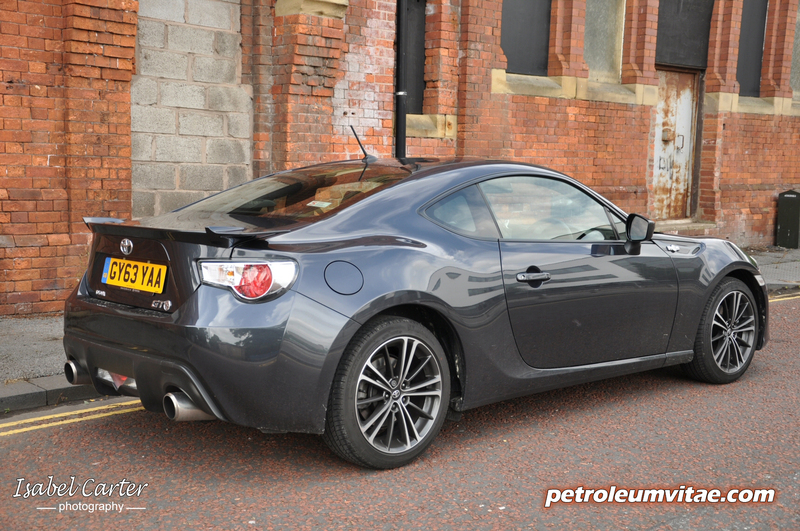 The 86-ness is also carried on by Toyota’s internal development code 086A, the exhausts being 86mm wide and the Subaru boxer engine’s square bore and stroke being 86mm x 86mm. 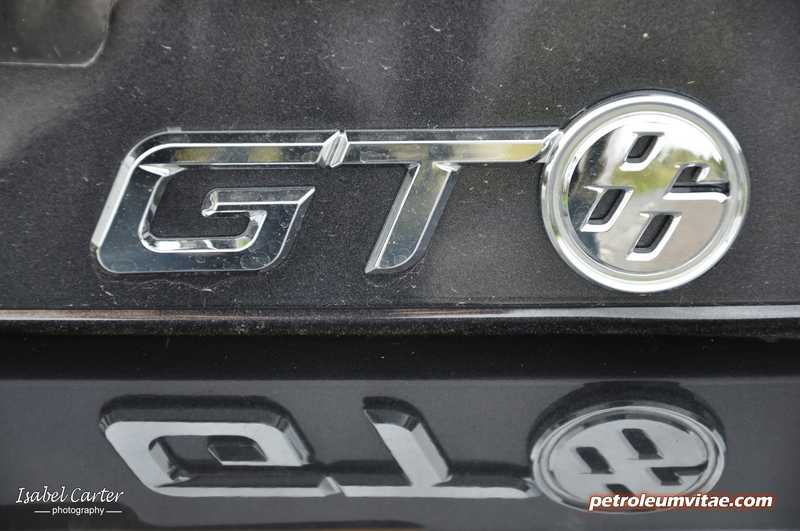 Even the logo has a little story behind it, depicting a four-wheel drift. 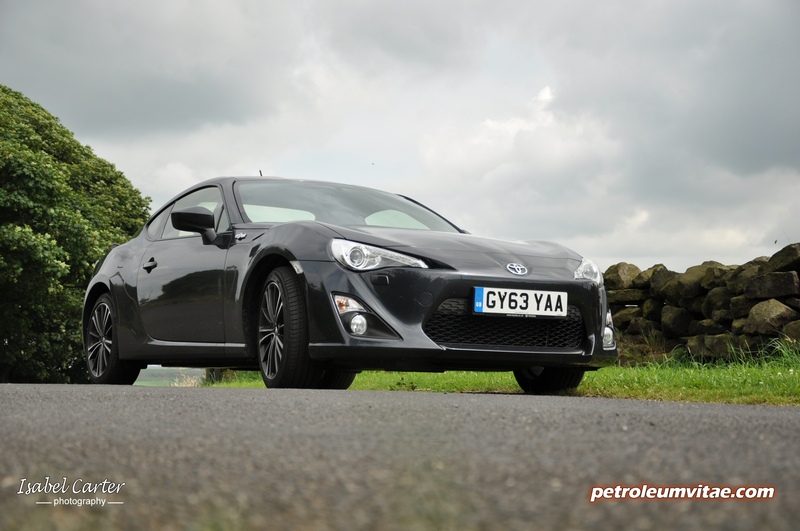 On paper, the GT86 sounds fantastic. 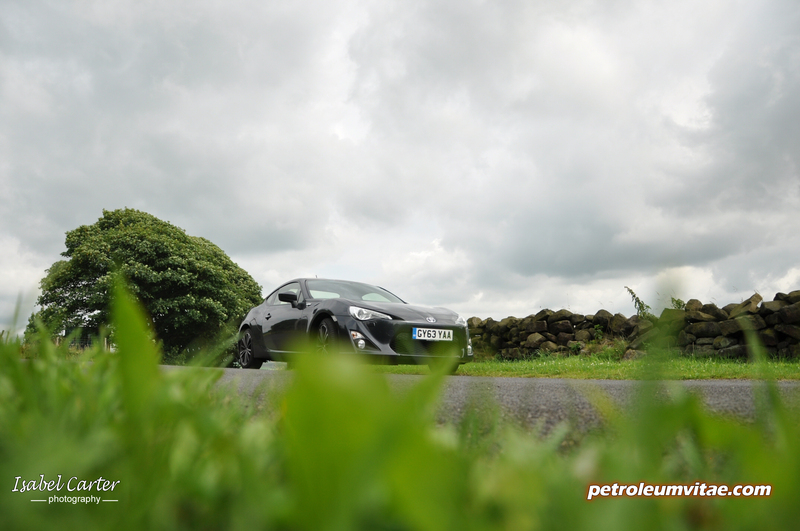 For a start, it’s relatively very light, weighing only 1,240kg, with almost-balanced, slightly front-biased 53:47 front-to-rear weight distribution, an amazingly low 460mm centre of gravity and the lowest hip-point in the Toyota lineup. 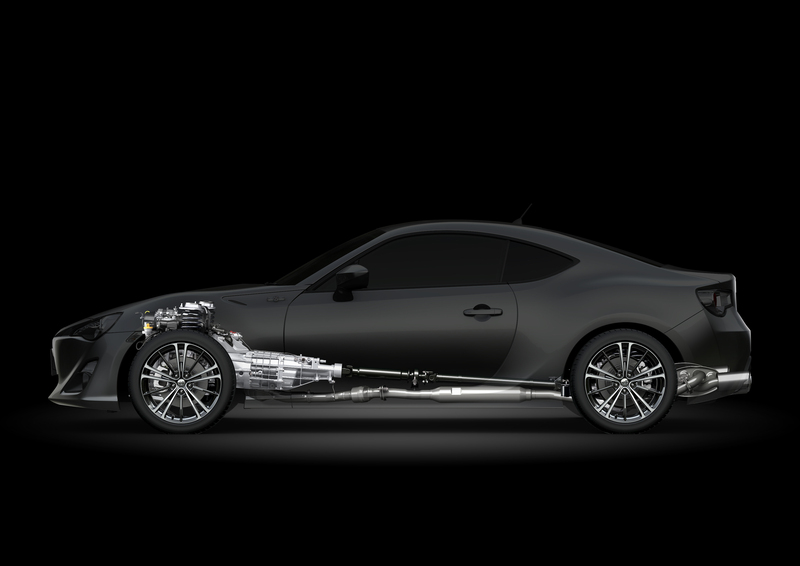 This all equates to an optimum power-to-weight ratio. 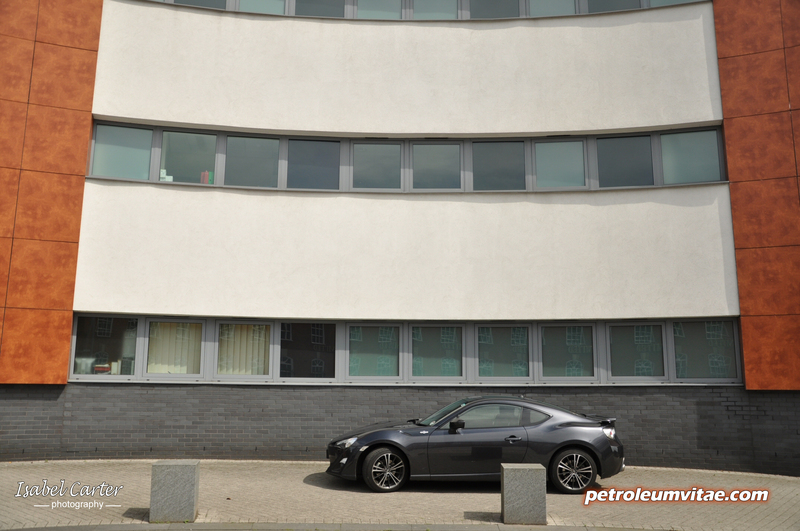 It’s the most diminutive 2+2 sports coupe around and you sit more or less on the ground for a reason, but more on that later. 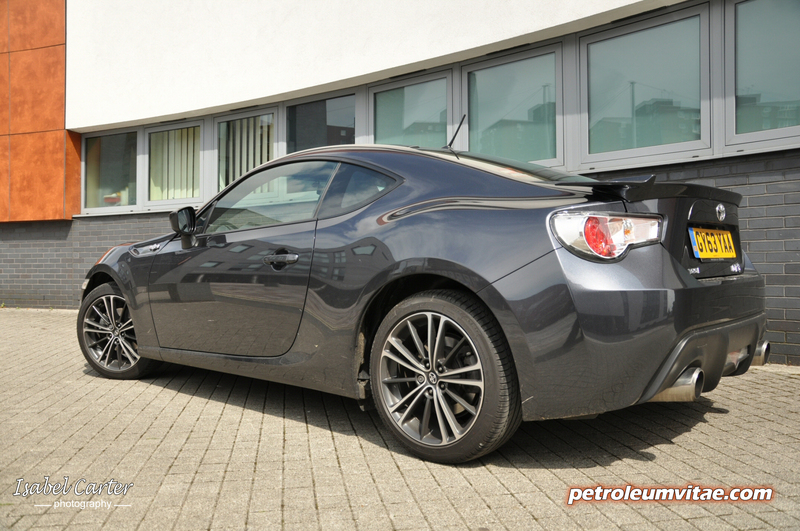 The GT86 is no oil painting, but then you don’t have to be a stunner to turn heads. Just ask the majority of Big Brother contestants. Throughout my week with the Toyota, I was genuinely flabbergasted at how many people gave it a double and sometimes treble take, as if an ultra-rare or uber-expensive piece of Italian exotica had passed them by. The painstakingly-designed curves and lines, menacing, low-slung grille with sleek headlamps and DRLs, pagoda-style roof, muscular arches and shoulders, sporty spoiler and the unmissable twin chrome exhausts integrated into the rear diffuser combine into an unarguably sporty, athletic and desirable package – even if it’s not what you’d call beautiful. The elderly, along with particularly tall or wide people and those with agility issues need not apply, as it’s fair to say that you more or less have to allow your body to collapse itself down into the driver’s seat – but once you’re there, oh boy it feels good. 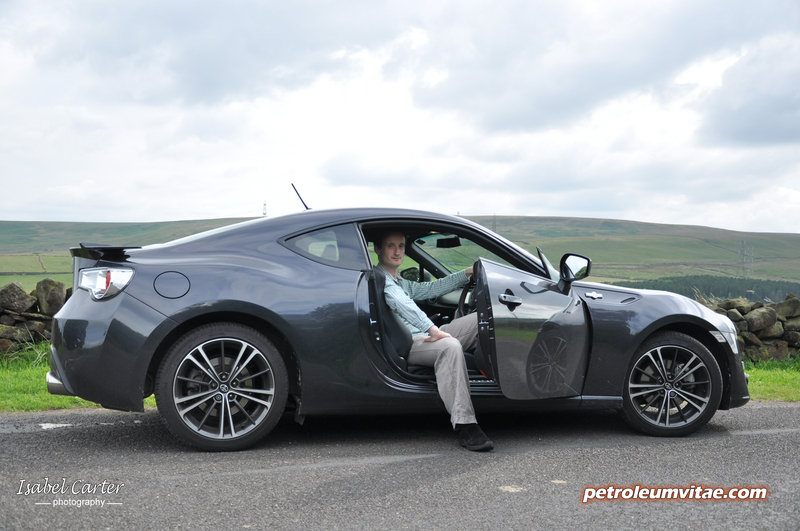 This isn’t down to the interior quality as such, though, which isn’t one of the GT86’s proudest facets. You already know it’s a 2+2 so the back seats will be next to useless, and indeed they are. But I bet you didn’t expect to see a 1980s digital clock and a smattering of other cheapish controls and surfaces distributed around this £27,995 sports car, along with a lack of much storage. 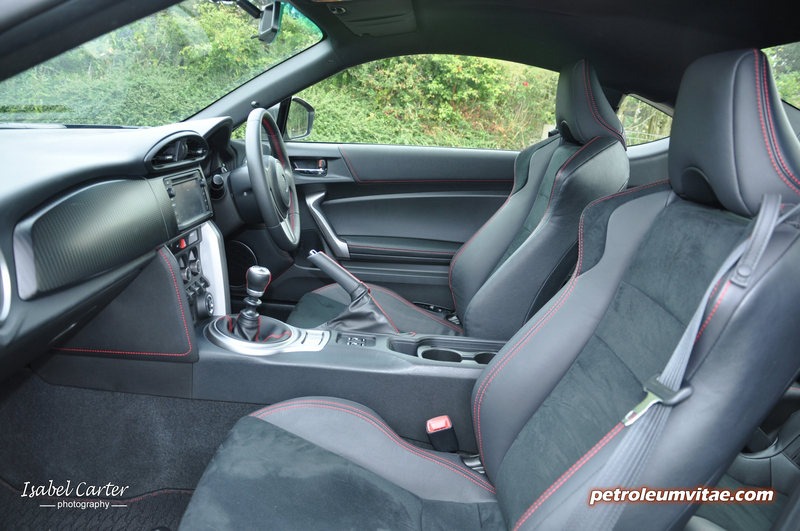 Having said that, the interior is robust and certainly feels like it will stand the test of time. 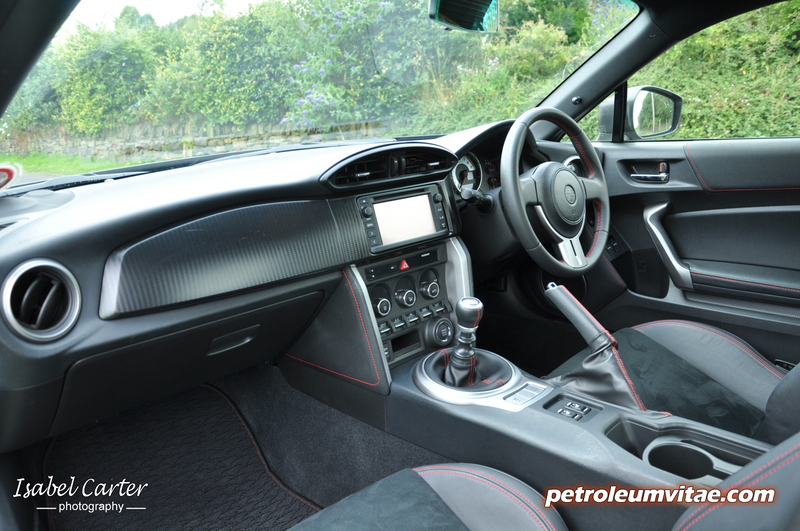 If you’re after a car to cruise the suburbs in, impressing your mates with its lavish, cutting-edge interior, this isn’t the car for you – but for driving purists, it most certainly is, if you’re willing to turn a blind eye. 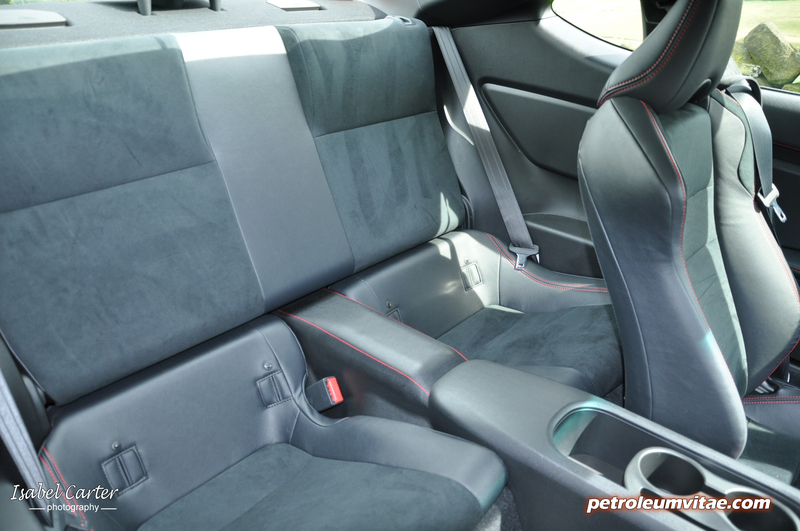 Sitting with your posterior so close to the tarmac and being sandwiched in the rib-clenching bucket seat sends the adrenaline racing through your body, as you know you’re in a real driver’s car, which feels like it will become part of you. The small, buckskin-trimmed steering wheel is a fabulous thing to grasp in your hands as you look ahead at the sports-focussed instrument cluster with its huge tachometer, embedded digital speedometer and red light which tells you when to shift up a gear. 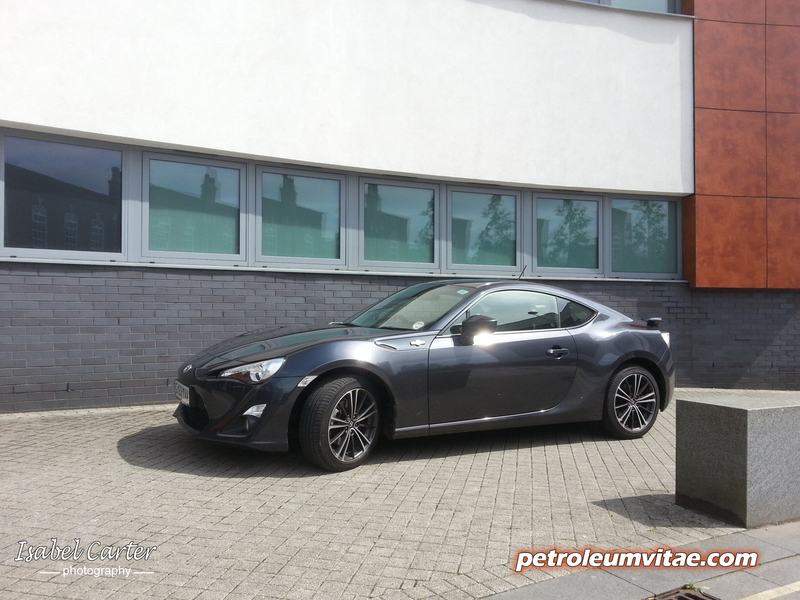 With no fiddly buttons on the steering wheel at all, reassuringly visible front wings and a frameless rear-view mirror for maximum visibility, this is a no-nonsense sports car without doubt. 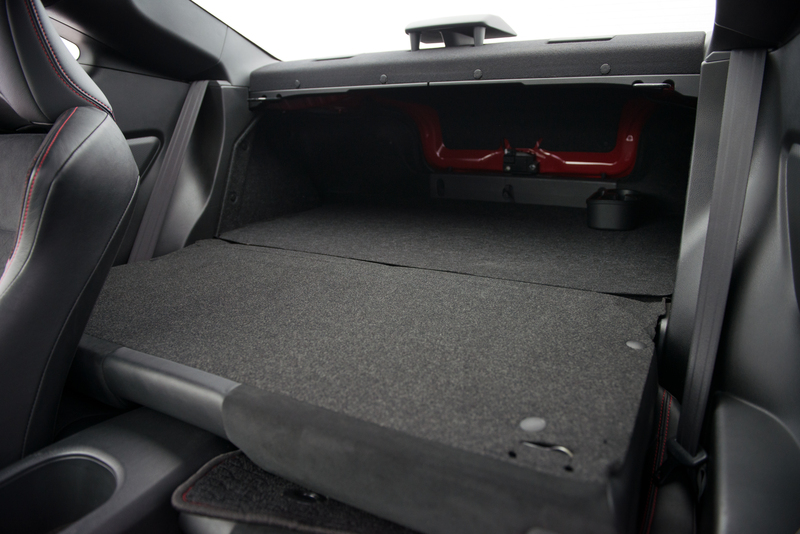 Okay, Toyota could have omitted a radio, sat nav and even floor mats to save yet more weight, but I think they’ve worked wonders and done quite enough. 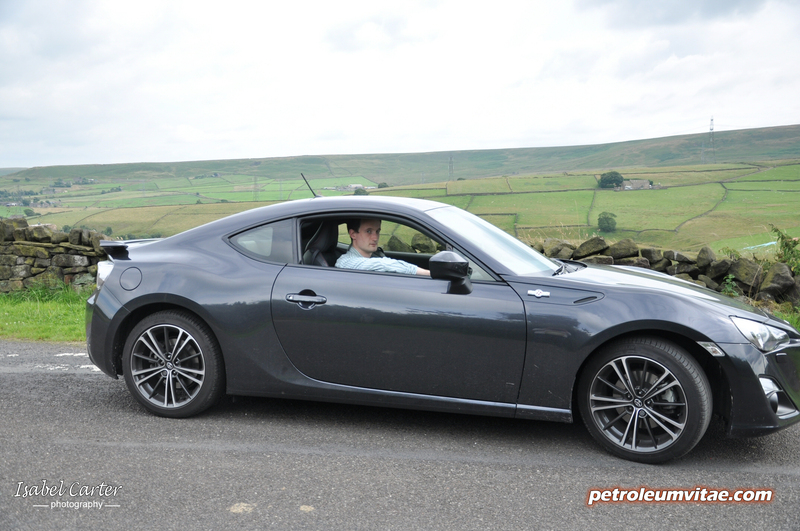 Ergonomically, the GT86 is a masterpiece, the driver sat perfectly positioned, with everything placed intuitively to hand. 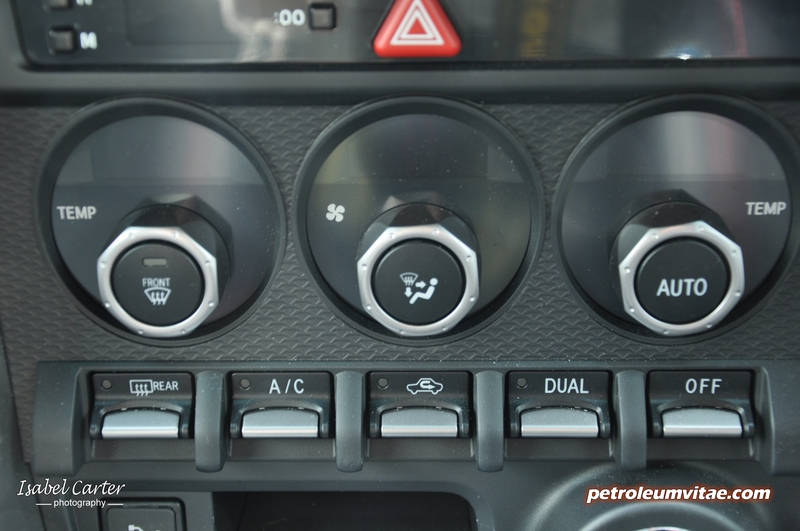 Even the dashboard is horizontal, symmetrical and void of any unnecessarily svelte design for a reason – to tell the driver exactly where the centre line is and how far the car is tilting. 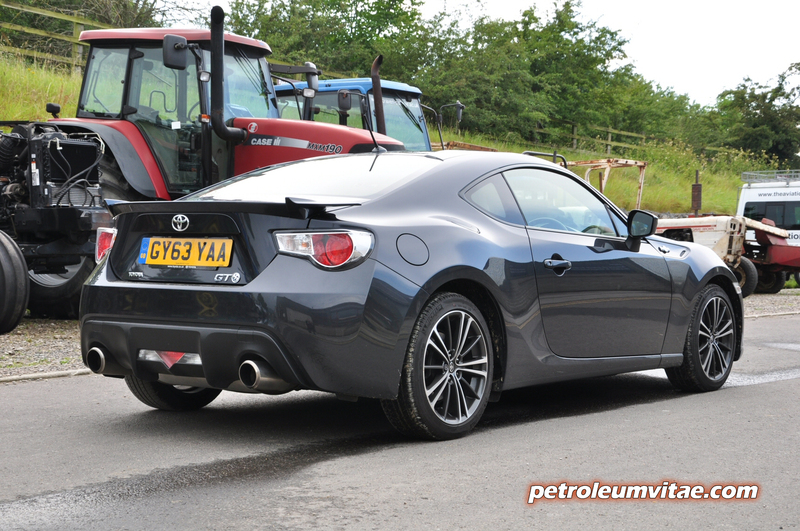 You can tell that thousands of man hours really were poured into the development of the GT86. 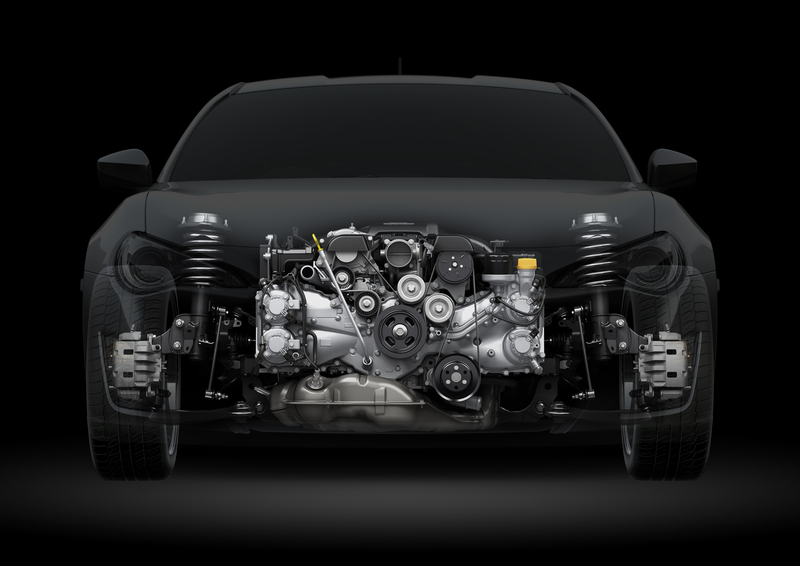 It’s the world’s first combination of a front-mounted, horizontally opposed Subaru ‘boxer’ engine and Toyota’s latest D4-S direct fuel injection, along with rear-wheel drive – and the first non-turbocharged engine to rev all the way up to 7,400rpm. 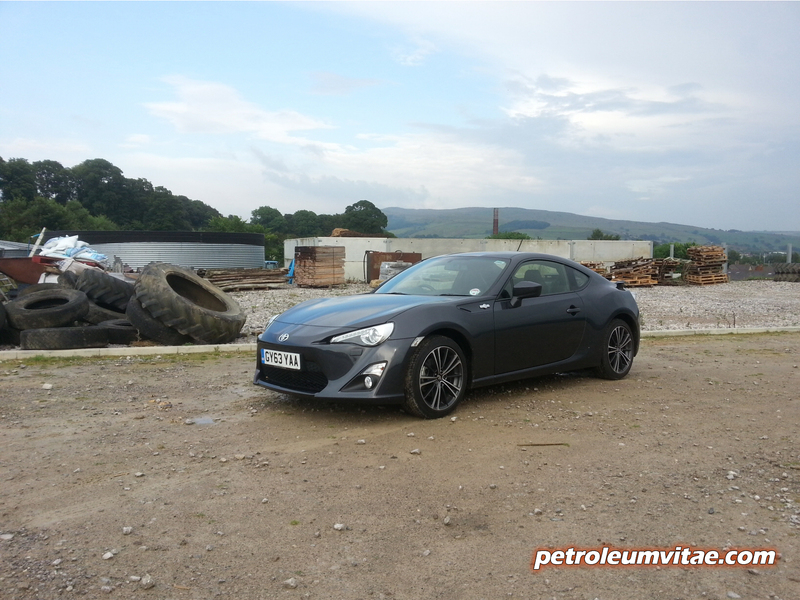 With its peak torque of a modest 250Nm delivered around 6,500rpm, a 7.7-seconds time to reach 62mph and a mere 197bhp, the GT86 looks on paper to be a bit lacklustre to say the least. 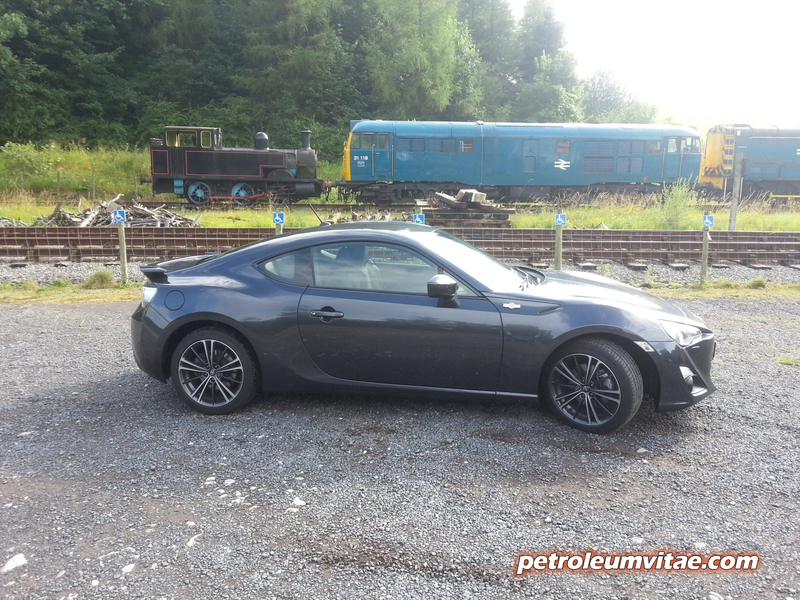 Going back to the cardboard box and the fried sprouts, though, it’s all about what you make of it – and this is where the GT86 comes into its own, big time. 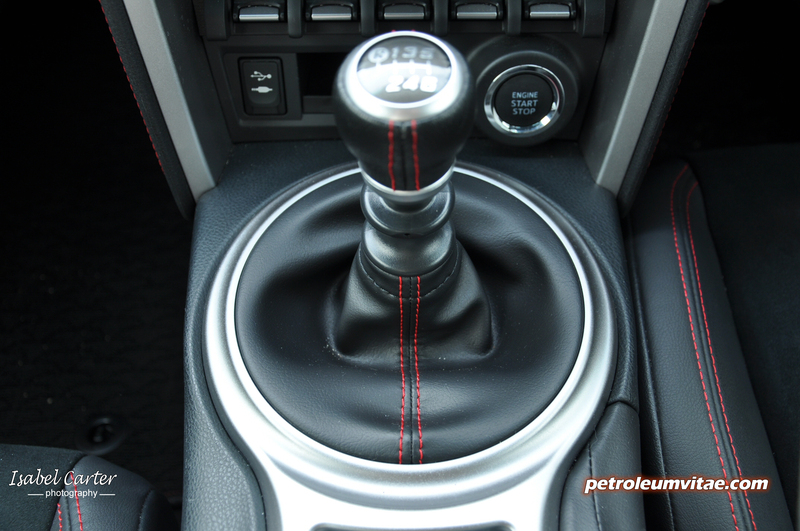 The only criticism I have over the 6-speed manual gearbox is the somewhat unforgiving clutch bite point, but otherwise, its short-throw, mechanical action is a delight. 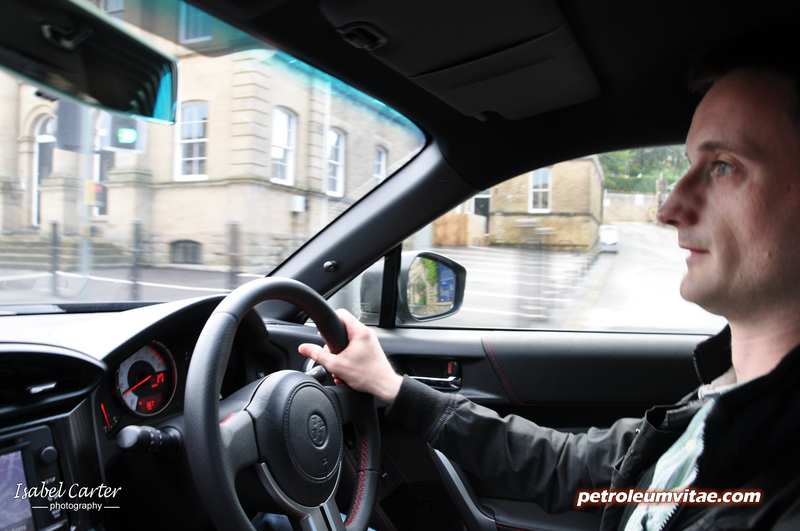 Overtaking often necessitates shifting down a gear or two, but that’s fine. 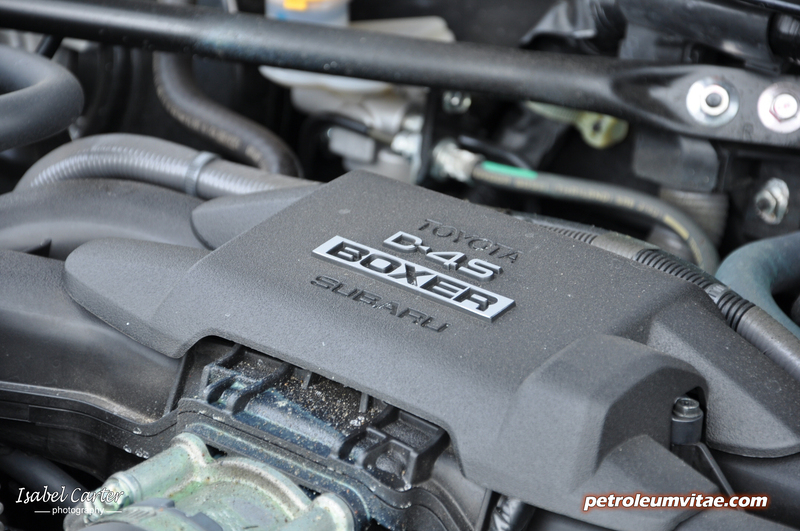 The ratios are close but my advice is to change up as late as possible, which not only creates an appealing, artificially-enhanced engine note, but also ekes the best out of the 2-litre engine. It can feel a little odd and counter-intuitive at first, waiting til the engine is screaming and the rev needle is buried in the red zone before changing up, but if you want a grin on your mug, that’s how this car rolls. 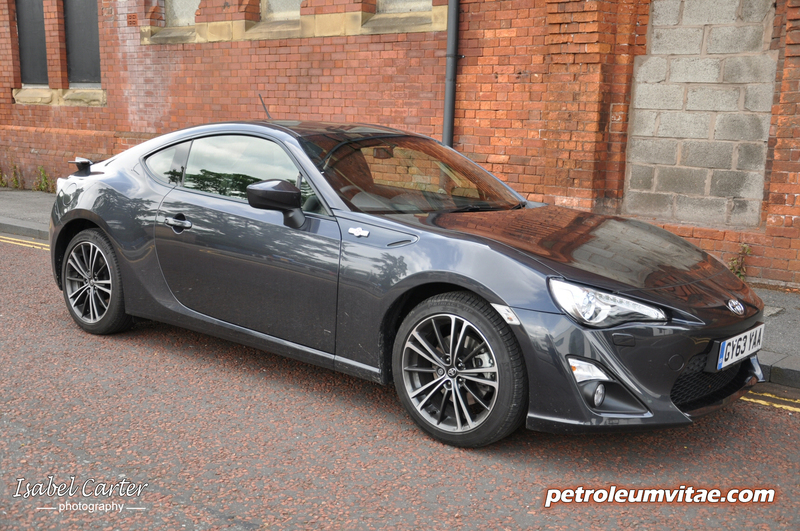 Sedate driving is possible, just in case you wondered, but who in their right mind would buy a GT86 with that on the agenda? 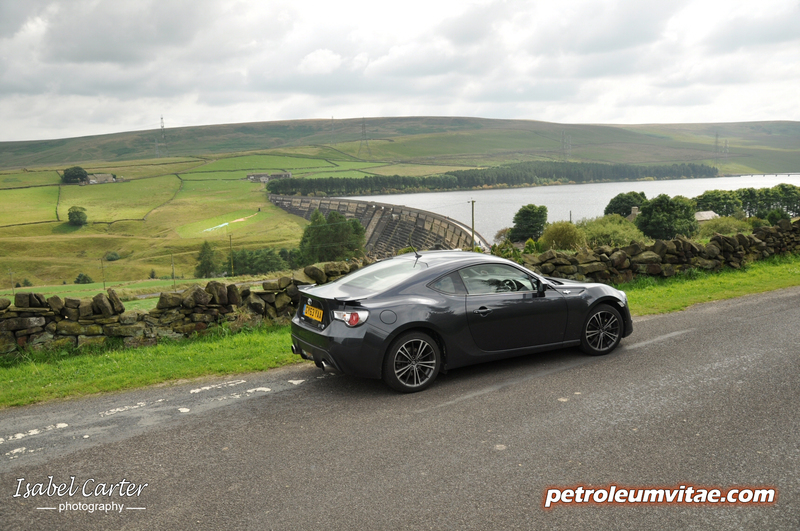 Fair enough, it lacks low-down torque, and mid-range for that matter, depending on the gear – but remember, the GT8s is a remarkably light car, so its 197bhp achieves relatively more. Plant your foot firmly on the accelerator pedal and it doesn’t feel a slouch, even if it’s not lightning-quick. 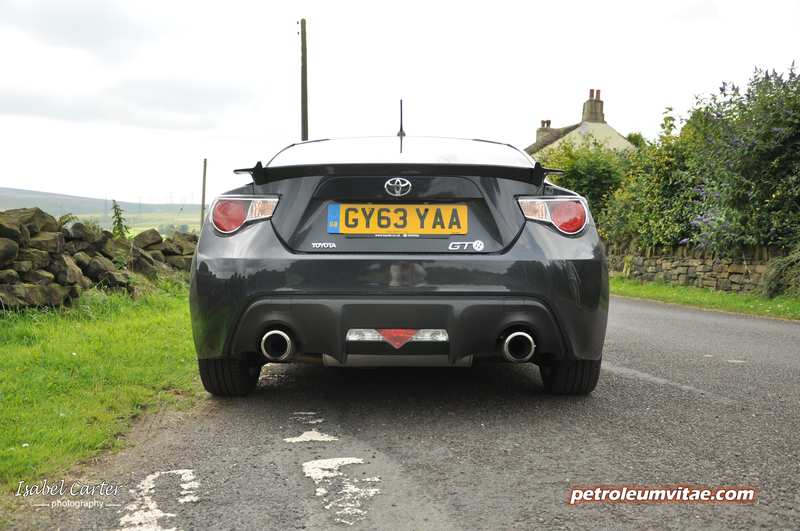 Sitting so low down, in such a light car complete with a decent exhaust note, is fun all the way. 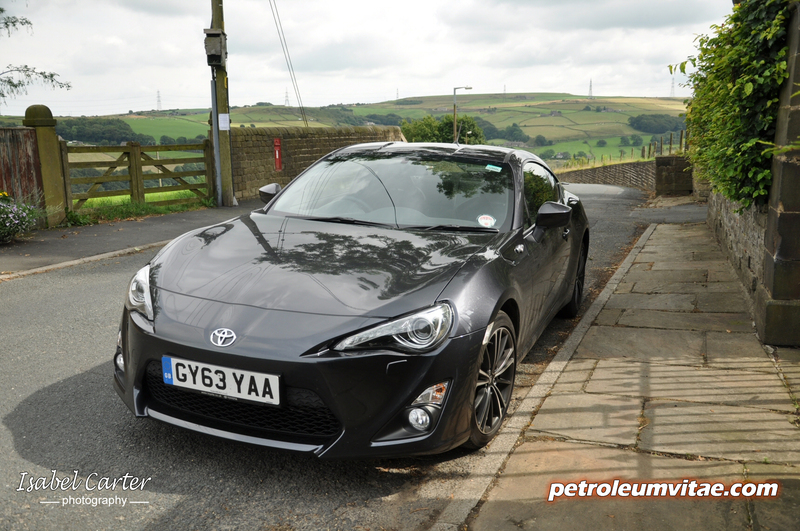 The GT86 really does feel and drive like a go-kart, so I doff my hat to Toyota there. Besides, many cars I’ve driven lately have been so powerful that it was impossible to boot the ‘go’ pedal too hard on public roads, or else I’d have ended up somewhere I didn’t particularly want to be, such as in a hedge, a ditch or in the next county for that matter. 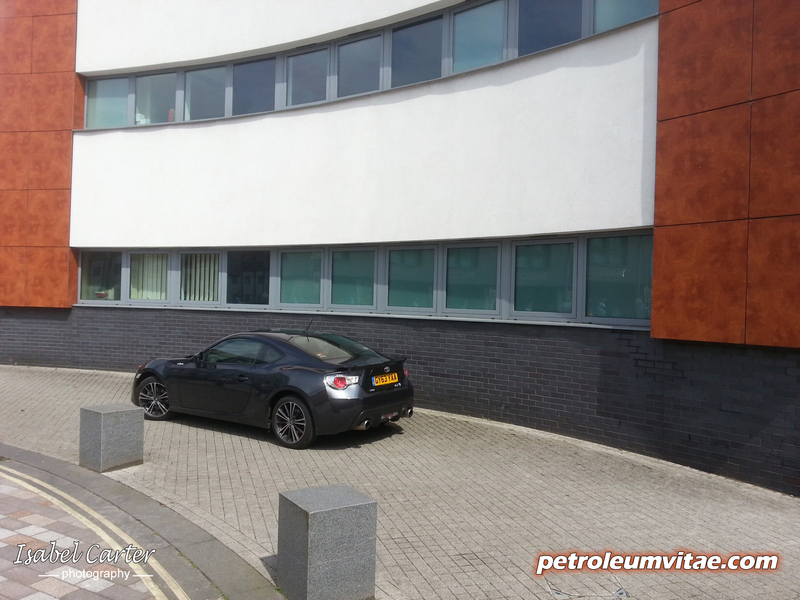 Another hugely impressive element in its utterly engaging drive is the precise feel from the electric power steering. A slight twitch of the wheel results in an immediate, slight twitch of the car. A tug of the wheel instantly raises your heartbeat. You get the picture. 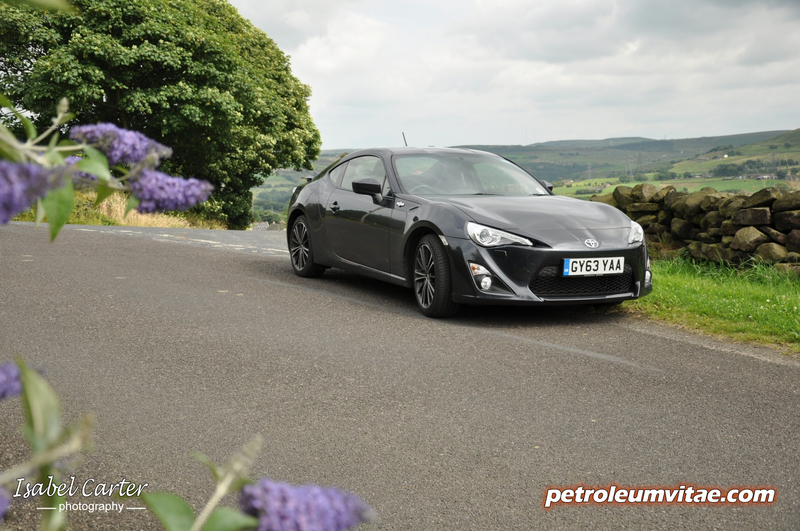 The steering setup in the GT86 is immensely communicative, sharp, responsive and confidence-breeding, compelling you to tackle each bend more and more boldly, which in turn turns the fun up another notch. Actually, every driver control in the Toyota talks to you, from the aforementioned steering wheel, the pedals and gear level to the engine and its vocal range. The ventilated front and rear disc brakes are effective and also engaging, giving the driver the freedom to be as delicate or heavy-footed as they like. I couldn’t quite get over the unexpectedly composed ride quality from the MacPherson strut front suspension and double wishbone at the back, either. 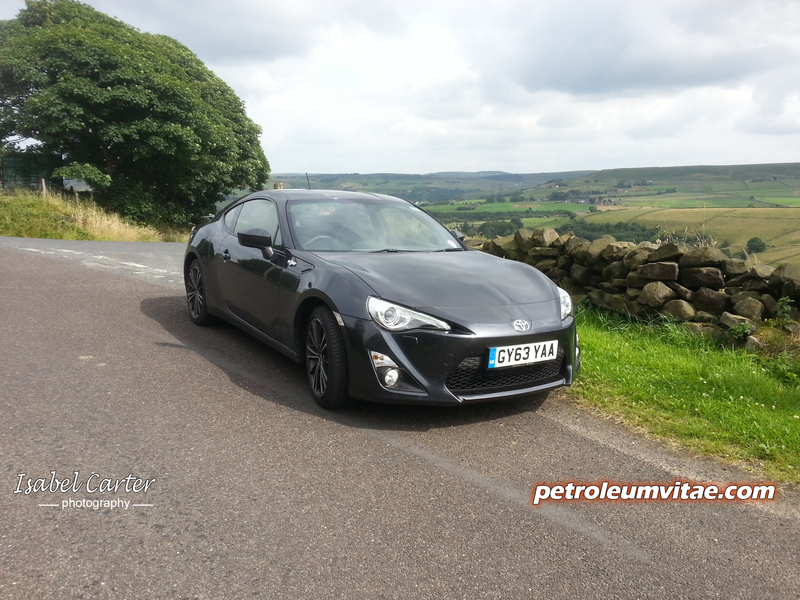 Yes, the ride is very firm as you would expect from a race-minded sports car like this, but it actually made mincemeat of speedbumbs and surface imperfections, which again simply contributed to egging my confidence on yet further. 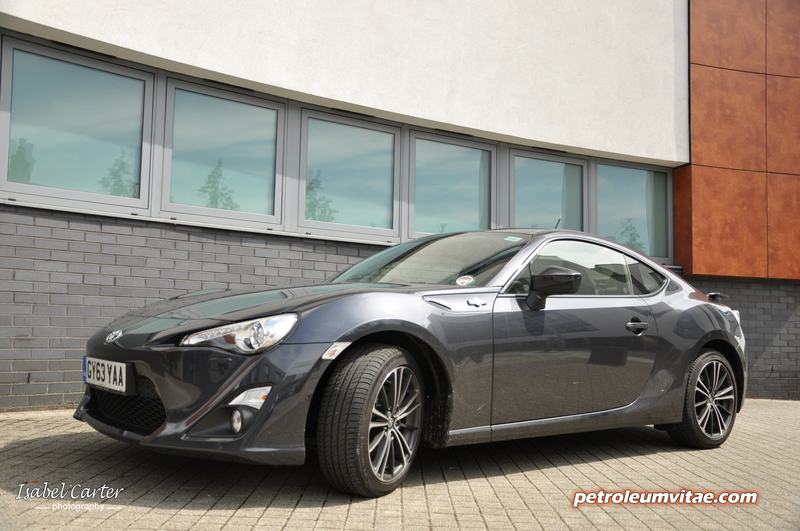 We had some pretty horrendous rain and stormy weather to endure for the first two days after the GT86’s arrival but this was nicely followed by a heatwave. 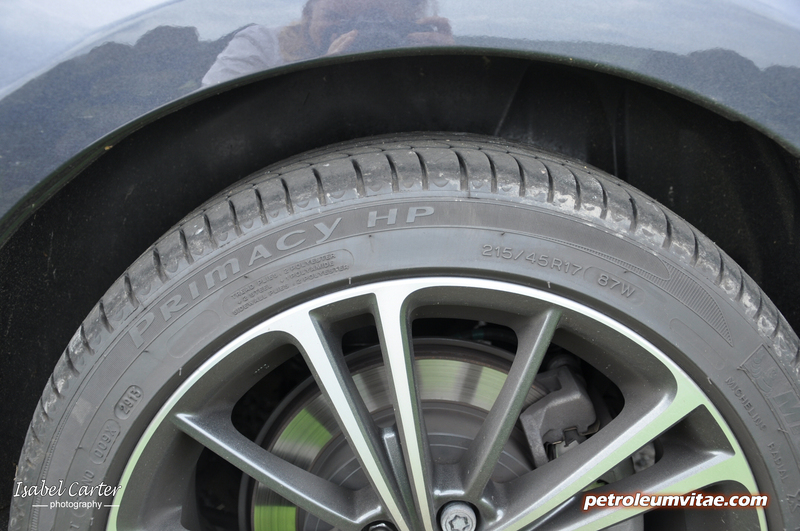 My wife was a wee bit nervous when I mentioned that it was fitted with Michelin Primacy tyres just like a Prius, but in practice, they provided decent levels of grip when we wanted them to, and let us have a little play and get the back sliding out when the mood took us. It may not be the quickest comparable car on a straight, but makes up for it in the corners, conquering each like a machine – one which soon begins to feel like it’s an extension of your body. 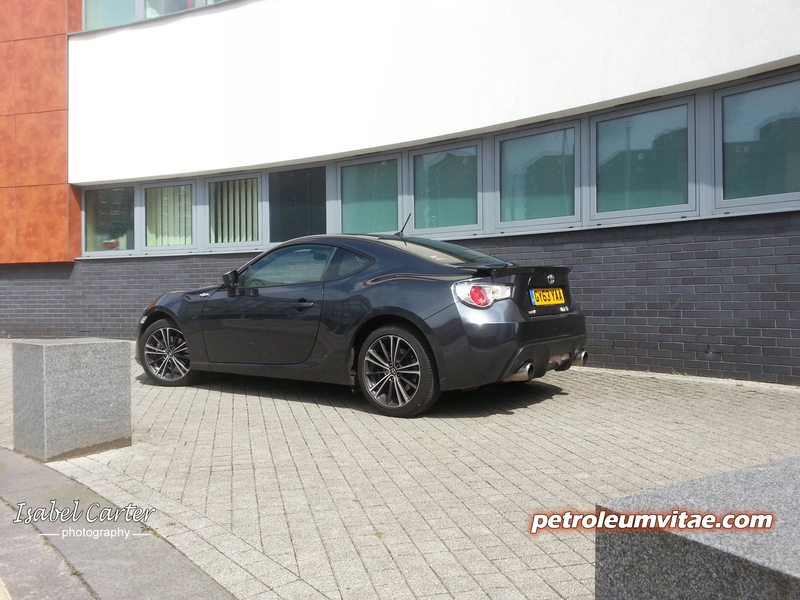 The joint effort invested in this car by Subaru and Toyota really shows – and at only 4.2m x 1.7m x 1.2m, it’s a diddy little thing in the flesh. With a driver’s knee bag and curtain airbags, it ticks the safety box, and with dual-zone climate control, cruise control, keyless entry, Bluetooth, a touchscreen sat nav and audio system and bi-xenon headlights, it does provide a decent level of creature comforts and driving aids. Its focus is most certainly on primal driver involvement – and in this, it excels. No matter how hard I flogged it, the average fuel consumption never really dropped that much and settled at an almost embarrassing 32mpg (Toyota claim 36.2) in the end, but at least it shows it’s not overly thirsty even if you thrash it. 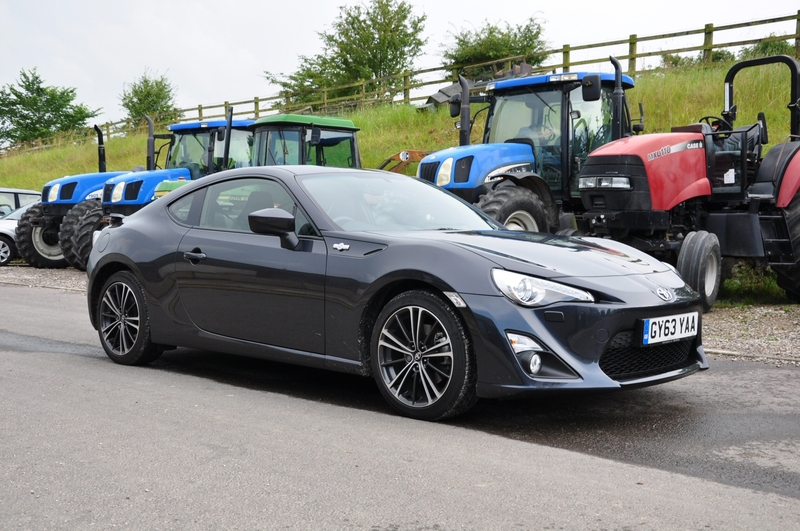 At £28,000 as tested, it’s not what you’d call cheap and may be deemed comparatively expensive alongside some of its more powerful rivals and certainly when compared to the latest hot hatches, but if driving pleasure’s what you’re after and you can’t afford a Porsche Cayman, you probably won’t be disappointed with the Toyota. If it’s going to be your daily drive, make sure you either don’t have kids or they’ve left home, and that your friends have their own car. 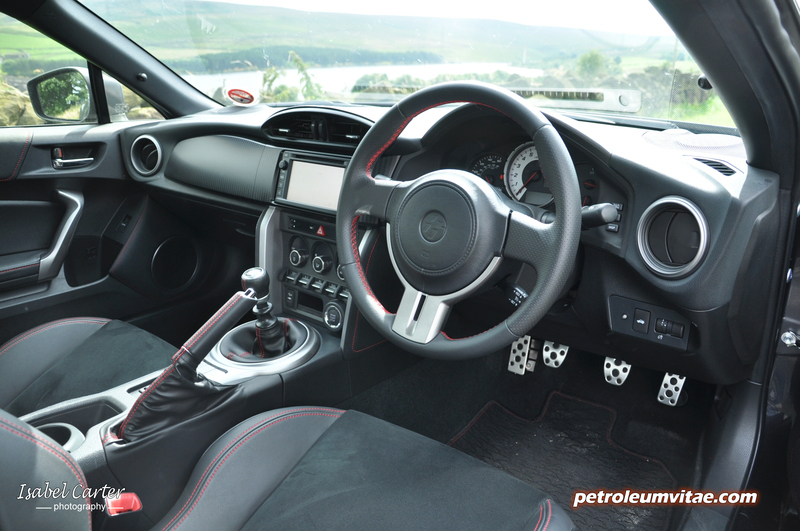 The GT86’s interior certainly isn’t perfect and neither are its straight line speed and power, but its handling just might well be. 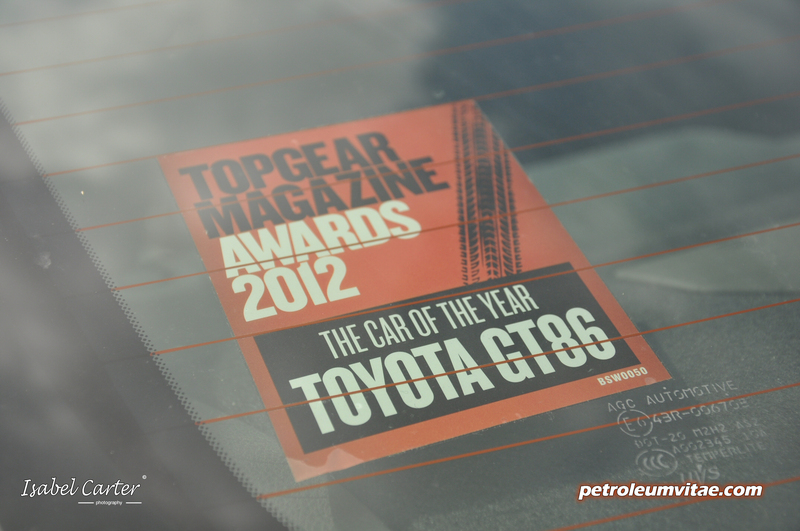 A great effort by Toyota and one that is well worth exploring by those who make the best out of what they’re given and are looking for some go-kart-like thrills in their life. Toyota Touch: touchscreen control for audio and information with Bluetooth and Bluetooth music streaming, USB port, Aux-in socket. Toyota Touch & Go: touchscreen control for audio and information with satellite navigation, advanced Bluetooth, access to Google Local Search, USB port, Aux-in socket.